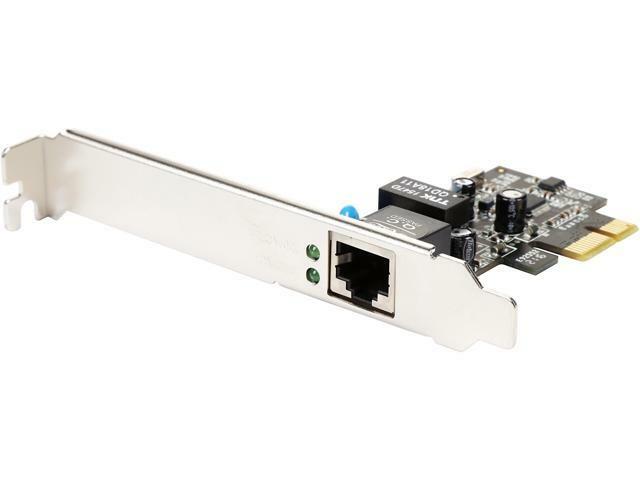 The Rosewill RC-411v3 is an adapter to convert your PCI-Express interface into a 10/100/1000 Mbps RJ45 connector. 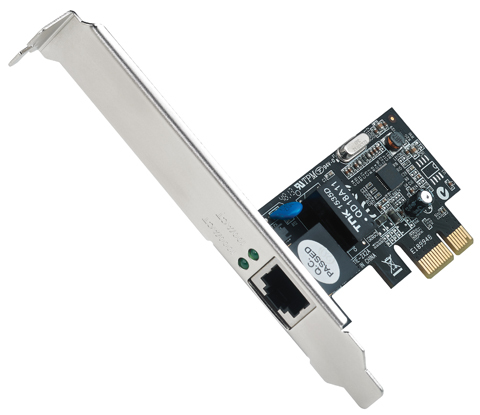 It’s designed to meet PCI Express Base Specification Revision 1.0a. And, the single-lane PCI-Express throughput supports rates of 2.5 Gbps. It features full duplex mode that doubles the network connection speed, while supporting automatic MDI / MDIX crossover at all speed, providing you with a blazing-fast, reliable network connectivity. The built-in LED lights indicate the status of data transmission. Plus, it supports Windows 2000 & XP, and offers plug-n-play support for Win7 and Win8 (32-/ 64-bit), Server 2003 and Vista operating system. Cons: Failed after a week or so. The return process failed as well and I have given up. I have many Rosewill products I have been happy with, but will never again consider them for anything. Awful experience. We are sorry to hear that the Network Adapter failed and apologize for the inconvenience. However, we would be glad to send new one to you for free. Please contact us with your order number or invoice number so that we can send it to you as soon as possible. We do care about your feedback and will continue improving our products in future. Pros: It fits in the slot. The connection light lit up on the card. Cons: My computer did not boot with the card in it except for once, but that time it did not show up in Windows Device Manager. I tried it in all three PCIe slots in my computer. virustotal.com said just 2 scanners flagged it as malware, so it may be a false positive. It seems I got a defective card. I plan on returning it. I am so sorry to hear that the Network Adapter does not work for you. Please contact our customer service team so that we can assist you with the replacement or refund based on our RMA policy. We will look forward to your reply. Pros: Performs as advertised. Comes with tall & short case adapter. Other Thoughts: I had a lightning strike to kill my on-board NET connection and PCI slot. This uses the PCIe slot and works fine! Pros: Simple, no drivers needed for Windows 7 (auto installed), small and able to be used for small form factors. I will likely buy these often for users who need replacement NICs or for myself for small projects. The others in the same line look awesome and promising, too. Other Thoughts: Used to replace a bad NIC built on a motherboard. Was able to install this one and worked without much need of any configuration or driver installs. We will gladly assist you with a resolution to your issue based on our RMA policy.